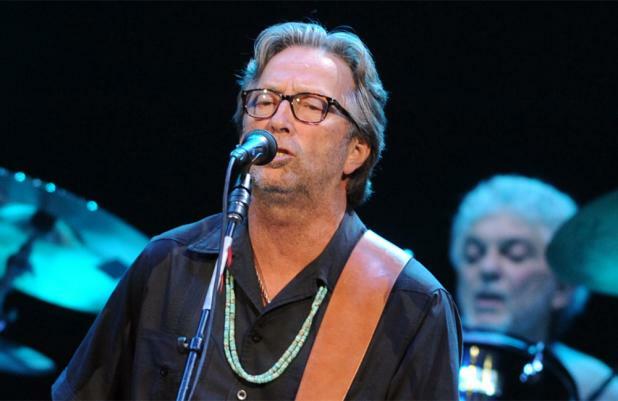 Eric Clapton previously announced he would probably stop touring in three years but he obviously has no intention of slowing down just yet. The guitar genius has announced his first dates for 2014, for Japan, Singapore and Dubai, along with the lineup for his latest band. Returning from last year are Chris Stainton on keyboards, who has been with Clapton for the last 35 years, and vocalists Michelle John and Sharon White, both of which have been part of the band since 2004. Also back after appearing at a number of Clapton’s 2013 shows is vocalist and keyboard player Paul Carrack. Carrack’s long career has seen him singing on such hits as How Long (Ace), Tempted (Squeeze) and Silent Running and The Living Years (Mike + the Mechanics). In 2013, Carrack sang a couple of his own songs during Clapton’s show and closed with a cover of Joe Cocker’s High Time We Went. Nathan East, who played bass with Clapton from 1984 to 2004, returns to the band as does Steve Gadd on drums who has played on and off with Eric since 1976.